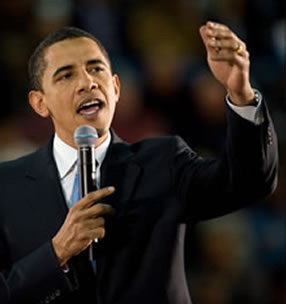 President Obama has spoken out to raise the profile of municipal broadband networks. This culminated on January 14, when Obama spoke at Cedar Falls Utilities in Iowa. President Obama highlighted to Cedar Falls that their networks were among the best in the world and how too many companies were able to make entry into the market an impossible task. Now, President Obama is calling for an end to current laws in 19 States, in order to assist smaller companies in having a fairer chance of winning contracts. The Federal Communications Commission (FCC), which regulates communications is the primary authority for communications law, and will try to pre-empt the state laws to promote competition in the market by removing barriers to investment. FCC’s Chairman Tom Wheeler issued the following statement following the speech in Iowa by President Obama in Cedar Falls. “High-speed internet access is a fundamental part of our daily lives at home, on the job and at school. While fast broadband is available to some, there are far too many parts of the country, particularly rural America, that are being left further and further behind. Ben Bawtree-Jobson, CEO of SiFi Networks commented “It is great news for the industry that President Obama is raising the profile of next generation broadband services in the US and calling for the market to be opened up to more competition” he added “Such networks not only provide better services at better prices for the end consumer, but create next generation economic development platforms for communities to expand their opportunities across the globe”. SiFi Networks has been working with a number of US cities over the last 12 months including Nixa MO, Pacific Grove CA, Louisville KY and Fullerton CA, to enable them to create their own FiberCity™. SiFi Networks has therefore seen first-hand how crucial next generation broadband infrastructures are and how passionate these communities are in creating a FiberCity™ to secure their economic future. Having the President driving change will certainly facilitate SiFi Networks discussions with existing and future cities, as well as and the industry as a whole.